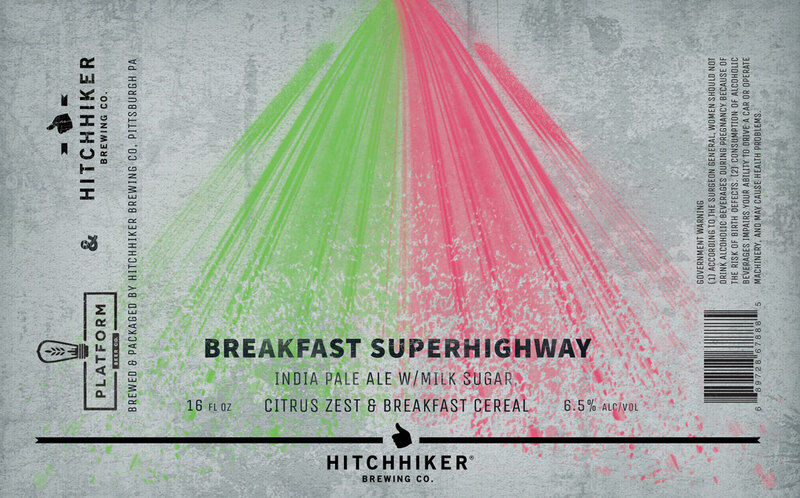 Breakfast Superhighway | Hitchhiker Brewing Co.
A collaboration with our friends at Platform Beer Co. – brewed with milk sugar and citrus zest. Conditioned on a fruity breakfast cereal. Hopped with Citra, Amarillo, and Simcoe.